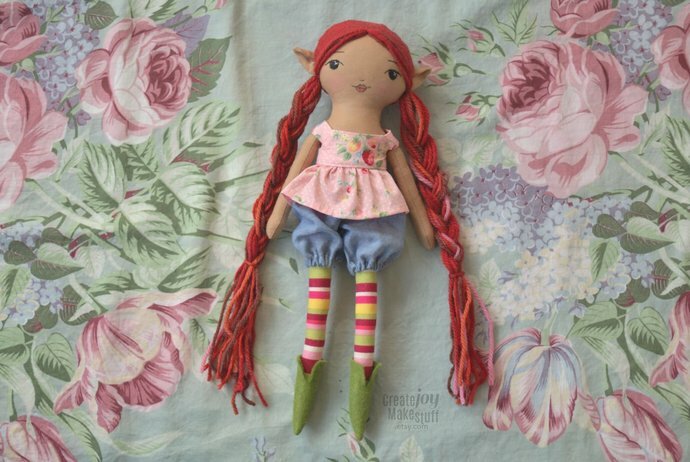 Elves have a mischievous and magical nature that appeals to children and adults alike. Mara is made from 100% cotton fabrics. She has a brown, sun-kissed, skin tone. Her hair is loosely braided which can easily be undone to style how you would like. The hair is made from a combination of wool-blend felt and a variety of wool-blend yarns. Her face is embroidered and tinted with wax crayons. A metallic thread accent is added to her eyes for an added twinkle. 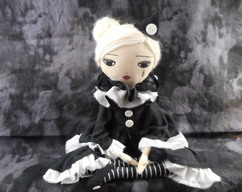 She comes with a tie-up hood, boots, top, and knickers, all made with cotton except the boots which are wool-blend felt. All of the clothes are removable, with the exception of her tights which are a part of her body. BONUS: Extra dress included (see last photo). Mara is about 14" tall. Handmade with joy. She would make a wonderful playmate (gentle play, 5+) or a lovely addition to a collection. I have also made some party dresses for the elves. 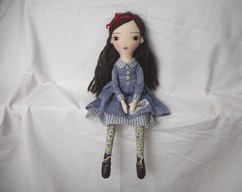 Listing is in the Handmade dolls section. Doll ships in 2 or 3 days from Canada. ★ Listed price includes shipping and handling within Canada and the USA. Items are shipped with tracking and include $100CAD insurance. If you would like insurance for the full amount please contact me. I am not responsible for delays at customs or for lost packages. (NOTE: If your country is not listed please contact me.). 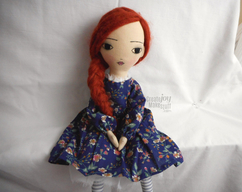 I love making dolls! 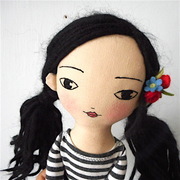 The handmade dolls sold at this shop are of my own design and are made with care and attention to detail by me, Elissa. 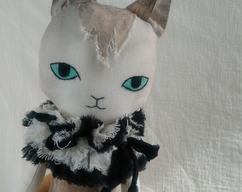 I add new dolls once they (or a series) are complete but sometimes this part of my store is sold out. Stay up to date by following my Instagram: @createjoymakestuff.